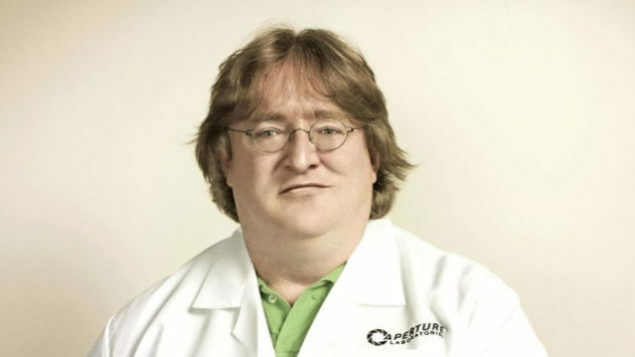 Gabe Newell, the founder and CEO of Valve, spoke with Develop recently on whether the Steam Machine really had merit and will be a viable decision in a console and Windows based gaming PC market. It’s no surprise that Gabe is confident in the success of the Steam Machine, but even more than that is the value that can be seen compared to a console at similar prices. Can the Steam Machine replace a console for many? The Steam Machine is essentially an open-source console that runs Valves open-source Ubuntu based OS that is heavily living-room focused. It’s been built around the already successful Big Picture mode, just changing out the underlying OS for something different, and free, so as to help cut total system cost. Hardware can then become anything you could dream of, from integrated systems literally built into the entertainment center (if you’re that type of modder) to a simple small industrial looking box with enough power under the hood for many games with decent visual settings at 1080P (and even 4K). It’s a great way to extend PC gaming and the customization and upgradability that’s inherent in the platform. It’s already been shown that even the lowest specification pre-Steam Machine minuscule PC is very capable in gaming, more so than the Xbox One or the PS4. With the decreased overhead that can be associated to a targeted OS, a good implementation of Vulkan and driver support from AMD and NVIDIA could be a force to be reckoned with. Already there are 1,397 games that are SteamOS compatible, with more being brought over and planned to be brought over. So it’s no surprise that Gabe is confident in his product, and it’s certainly no surprise that he says that a Steam Machine can be cheaper and provide better performance, because it’s true. Where the platform might fall down, however, is with controller support. The Steam Controller, while a great first iteration and something that will no doubt be improved by Valve and by the community, is just not adequate when compared to the console controllers available. Fortunately, Linux distro’s with a kernel version of 3.17 or greater have Xbox One controller support native to the OS. Development of games on Linux isn’t hard, necessarily, it’s just not precisely a booming skill that is going to be fully developed by developers. Oh, and finally, the best quote from the piece at Develop for many reasons. It highlights the fact that we can build to suit our own particular budgets, which might be lower than the price of a console at the moment. This kind of choice isn’t available on console.